Draft: 2007, Florida Marlins, 5th rd. Steve signed a two-year contract with the Cubs on December 16, 2017 ... has gone 28-31 with 72 holds, 125 saves and a 2.65 ERA (145 ER/492.0 IP) in 502 major league appearances, all in relief, covering all or part of nine seasons with the Marlins (2010-15), Cardinals (2015), Mariners (2016-17), Rays (2017) and Cubs (2018) ... His 2.65 ERA is fourth-lowest among active pitchers with at least 500 career relief outings, trailing only Craig Kimbrel (1.91), Kenley Jansen (2.20) and Darren O'Day (2.56) ... Has struck out 527 batters in 492.0 innings pitched, an average of 9.6 strikeouts per nine innings, while limiting foes to a .212 batting average ... Has made at least 60 relief appearances in five of the last seven seasons, including a career-high 80 appearances with the Cubs in 2018 ... has saved at least 25 games in three seasons (2013-14, 2016) ... Recipient of 2014 All Heart Award, presented to the Marlins player who best exemplifies the team's commitment to South Florida community by making a positive impact on the youth and serving as a role model for others ... Hosts the Steve Cishek Winter Wiffle Ball Classic in offseason with proceeds benefitting youth in his hometown of Falmouth, Mass ... Was originally selected by the Marlins in the fifth round of the 2007 Draft out of Carson-Newman College (Tenn.). Steve was one of the Cubs most reliable bullpen arms, posting a 2.18 ERA (17 ER/70.1 IP) in a career-high 80 relief outings ... his 80 appearances led the team and ranked second in the N.L ... Also led all Cubs relievers in innings pitched, strikeouts (78) and strikeouts per walk (2.79) ... Stranded 42 of 59 inherited runners ... the 59 inherited runners were most in the majors ... Picked up a team-high and career-high 25 holds, tied for fifth-most in the N.L ... Held the opponent scoreless in 64 of 80 outings ... Held righties to a .165 average (28-for-170) ... limited opponents to a .167 average (10-for-60) with runners in scoring position ... Threw a season-high 33 pitches in 2.0 innings (1 ER), May 26 vs. the Giants ... Appeared in left field, June 13 at Milwaukee (0 TC) ... Pitched a season-high 2.0 innings four times, including 2.0 hitless innings, June 26 at the Dodgers ... Recorded a season-high 12.2 scoreless innings streak, spanning 13 games, July 26-August 24 ... Stranded 15-straight inherited runners, August 4-September 15 ... Made his postseason debut in the Wild Card game, allowing no baserunners in 0.2 innings of relief. Began the season with Seattle before being traded to Tampa Bay, July 28, with cash considerations for P Erasmo Ramirez ... went a combined 3-2 with a 2.01 ERA (10 ER/44.2 IP), the lowest of his career... Had a 1.09 ERA (3 ER/24.2 IP) in 26 appearances with the Rays … from the time of the trade through the end of the season, he ranked among A.L. leaders (min. 20 IP) in ERA (3rd), opp avg. (.153, 6th) and WHIP (0.81, 9th)... From May 21 through season's end, led the A.L. (min. 25 IP) with a 1.43 ERA (7 ER/44.0 IP) in 47 outings... Held the opponent scoreless in 25 of his 26 appearances with Tampa Bay ... all three runs allowed came in the same outing, September 6 vs. Minnesota ... snapped a career-long streak of 20-straight scoreless outings... Began the season on the 10-day disabled list recovering from October 2016 surgery to repair a left hip labrum tear ... made his season debut, May 15. Totals - Was 4-6 with 25 saves anda 2.81 ERA (20 ER, 64.0 IP) with 76 strikeouts in 62 relief appearances....Outings - Led Mariners relievers in appearances (62) and innings (64.0)...Setup - After move to set-up role Aug. 20, was 2-0 with 1.10 ERA (2 ER, 16.1 IP) with 14 strikeouts in 18 games...The D.L. - On 15-day disabled list with a left hip labrum tear on Aug. 4 (retroactive to Aug. 2)-Aug. 19... Rehab - Made 2 rehab starts w/Short-A Everett...allowed 2 runs in 1st on 8/17 vs. Tri-City (1.0,3,2,2,0,2)...L#1 on 8/15 vs. Salem-Keizer (1.0,2,1,1,0,3)...Short Struggle - Was 0-2, going 5-for-7 in save opportunities with a 7.20 ERA (8 ER, 10.0 IP) with 16 strikeouts in 10 relief appearances from July 7-Aug. 1... Save It - Through Aug. 1 (before D.L. ), his 25 saves ranked T3rd in A.L. & T9th in Majors...Flip - Posted a 3.74 ERA (14 ER, 33.2 IP) with 45 strikeouts in 32 games with a save situation…in non-save situations, had a 1.78 ERA (6 ER, 30.1 IP) with 31 strikeouts...Up & Down - Was 2-1 with 11 saves in 12 chances with 0.98 ERA (2 ER, 18.1 IP) with 22 strikeouts in first 16 relief outings, converting first 9 save chances…in final 28 games before DL, was 0-5 with 14 saves in 19 chances with 4.91 ERA (16 ER, 29.1 IP)...Long Ball - Allowed a career-high 8 home runs (prev: 4 in 2015) but none after D.L. stint...No Hits - Limited opponents to .190 (44x232) batting average, 10th-best by A.L. reliever...Climbing - His 21 saves during first half, were a personal first-half high (20, 2014). Totals - Was 2-6 with 4 saves and a 3.58 ERA (22 ER, 55.1 IP) with 48 strikeouts in 59 combined relief appearances with Miami and St. Louis. ... Strong Finish - Was 1-1 with a 1.75 ERA (7 ER, 36.0 IP) with 31 strikeouts in final 40 games of the season. ... Rough Start - Began season 1-5 with a 6.98 ERA (15 ER, 19.1 IP) in his first 19 games of the season before being sent to AA Jacksonville (June 1-13). ... Trade - Traded from Miami to St. Louis on July 24 in exchange for Kyle Barraclough (rhp). ... Sub-2.00 - His 1.75 ERA from June 14-end of season was the 5th-best in the National League amongst relievers (min. 35.0 IP). ... Workhorse - Tossed 55.0+ innings for the fourth straight season…his 190.1 innings from 2013-15 are 11th-most in the National League. Finished second full season as Marlins closer with 4-5 record, 39 saves (43 opportunities) and 3.17 ERA (65.1 IP/23 ER). Established career highs in saves and strikeouts (84)...Among National League closers, tied for fourth in save percentage (90.7; 39/43) and tied for fifth in saves...Of 67 appearances, 51 were scoreless. Finished campaign amidst season-best 10.0-inning scoreless streak (10 games)...In first seven appearances, was 1-0 with four saves in 7.0 scoreless innings, allowing just three hits. Over next 16 appearances, surrendered seven earned runs in 15.2 innings (4.02 ERA). From June 2 to end of season, allowed just 16 earned runs in 42.2 innings (3.37 ERA) spanning 44 appearances...Suffered first blown save on April 25 at Mets, marking first unsuccessful save conversion since June 14, 2013 at Philadelphia. Marked Club record with 33 consecutive saves in between dates. Streak was longest in Majors since Craig Kimbrel saved 37 consecutive games from May 9-September 14, 2013...Recorded fourth career save of more than 1.0 inning on May 24 at Milwaukee. Also did so on May 1, 2014 vs. Atlanta (1.1 IP), August 26, 2012 at Dodgers (1.1) and July 14, 2012 vs. Washington (1.2)...On June 25 at Philadelphia, became 10th Marlin to record save and strike out all three batters faced (13x overall; last, Heath Bell on 6/16/12 at TB)...Named co-NL Player of the Week for July 21-27 with Mets' Jacob deGrom, posting 1.80 ERA (5.0 IP/1 ER) with five saves in five opportunities over five games...During week, became first closer in Club history to record five saves in seven-game road trip and was first pitcher in MLB to do so since Addison Reed recorded six saves in seven-game trip from August 15-22, 2013 (STATS LLC)...Recorded save in first game back from trip, marking sixth in eight-game span. Became first reliever in Club history to record as many as six saves over an eight-game span. - Elias...Recorded nine saves (11 opps) in July, tied for personal best over a single month (also, 9 in June 2013)...Recorded 30th save of season on August 11 vs. St. Louis, becoming third pitcher in Club history to record consecutive 30+ save seasons (also, Juan Carlos Oviedo, 2010-11 and Robb Nen, 1996-97). Established career highs in games (69), saves (34), innings pitched (69.2) and strikeouts (74). Faced a total of 281 batters, allowing just three home runs. Tied with seven others for ninth among National League relievers in fewest home runs allowed (min. 50.0 IP). Started season 1-4 with five saves in seven opportunities and a 4.50 ERA (24.0 IP/12 ER) over first 24 appearances. Suffered first blown save of season on April 7 at Mets; was first since September 1, 2012 vs. Mets. Earned first win on April 13 against Philadelphia with a scoreless ninth inning, marking first win since Sept. 28, 2012 also against Phillies. Led National League in saves in June with nine (10 opps); tied with Ernesto Frieri, Greg Holland and Glen Perkins for third in MLB, behind Jim Johnson and Joe Nathan (11 each). From June 8 to conclusion of season, converted 29 consecutive save opportunities to mark a Club record. Established Franchise mark with 28th consecutive converted opportunity on September 25 vs. Philadelphia, besting Todd Jones' previous record of 27 done in 2005. The 29 consecutive saves to end season was longest active streak in Majors. Was one of three relievers in 2013 to record consecutive save streaks of 29-or-more games; Craig Kimbrel converted 37 consecutive opportunities from May 9-September 14, and Greg Holland saved 31 consecutive opportunities from May 30-September 3. The three streaks of 29+ consecutive saves is equal to that of the previous two seasons combined, when Joe Nathan had 31 in 2012 and Jose Valverde and John Axford had 49 and 43, respectively, in 2011. - STATS LLC. Allowed just one run in last 21 appearances of season (21.0 IP); owned a 0.43 ERA in that span. From June 8-July 14, recorded a career-best 17.0-inning scoreless streak. Also, went 13.0 scoreless from August 1-September 8 (13 games). Along with Jose Fernandez, earned National League Co-Player of the Week for week of July 22-28. Went 5-for-5 in save opportunities, allowing just four hits with two walks and five strikeouts in 5.0 scoreless innings. His 94.4 save percentage was tied with Casey Janssen for best in MLB, while ranking as second-best single-season save percentage in Marlins history. Robb Nen went 15-for-15 in 1994. Tossed season-high 2.0 innings on July 8 vs. Atlanta, retiring all six batters faced. Equaled season-best with 2.0 innings on July 30 vs. Mets, allowing two runs on three hits. Had scoreless outings in 57 of 69 appearances. Honored by the South Florida Chapter of BBWAA with Marlins' Good Guy Award. Established career highs in games (68), saves (15), innings pitched (63.2), walks (29)and strikeouts (68). Began season with eight consecutive scoreless outings (7.1 IP) before allowing firstrun on April 20 at Washington. Over first 24 games, was 4-0 with one save and a 1.14 ERA (23.2 IP/3 ER). FromJune 4 to end of season, was 1-2 with 14 saves (16 opportunities) and a 3.60 ERA(40.0/16). On May 4 at San Diego, tossed a career-high tying 3.0 innings. Also went 3.0 inningson June 22, 2011 vs. Angels and May 29, 2011 at Dodgers. Suffered first loss of season on June 23 vs. Toronto, snapping career-best six-gamewinning streak. Tossed a bullpen-best 15.2 consecutive scoreless innings from June 27-August 11and went 6x6 in save opportunities during that span. Went 10x10 in save opportunitiesfrom July 14-August 26. On September 1 vs. Mets, equaled a career high (third time) with four runs allowed(three earned). Marked second four-run outing in 2012 (also, June 23 vs. Toronto). Surrendered just three home runs in 135 at-bats, second-fewest homers allowedby a Marlins' reliever (with Mike Dunn), behind Ryan Webb's two. Over his last two seasons, has allowed just four home runs in439 AB's. Among National League relievers to appear in 40 games, his .185 average against right-handed hitters was 11th-best. HustonStreet limited righties to a .132 average (9x68) to lead league. Called up by Marlins on May 24 and made season debut on May 28 at Los Angeles-NL, tossing a scoreless ninth inning. Provided scoreless relief over next seven appearances,beginning season with 11.2 shutout frames...Established Club record for most consecutive scoreless innings to start a career(16.0), including 4.1 innings accumulated in 2010. Bested previous mark of 11.2 byMatt Turner in Marlins' inaugural season of 1993...Among Marlins' relievers to appear in 20 games at home, surrendered secondfewestearned runs in a single season behind Randy Choate (0 in 2011). His 0.95home ERA (28.1 IP/3 ER) ranked third behind Choate (0.00; 13.1 IP/0 ER) in 2011 andRobb Nen (0.82; 44.0/4) in 1996...Notched first career save on June 10 vs. Arizona, tossing a scoreless ninth inning (onehit allowed)...Handed first career loss on June 20 vs. Los Angeles-AL, giving up one run on two hitsin 0.2 inning. Responded by earning first victory three appearances later on July 2at Texas, equaling a season-high with four strikeouts...Finished season with an 11.1 scoreless-inning streak over final nine appearances,giving up just six hits while walking five and striking out nine...Ranked second among qualifying National League rookie relievers in ERA, behindCraig Kimbrel (2.10). Ranked sixth among NL rookie relievers in innings pitched,eighth in average against (.221) and tied for eighth in strikeouts...His 9.05 strikeouts-per-9.0 innings pitched ranked eighth among NL rookie relieversand was sixth-highest mark in Franchise history for a rookie reliever...Recorded last inning pitched by a Marlins' pitcher at Sun Life Stadium. Split the 2010 season between Jupiter and Jacksonville before being selected to Florida. With theHammerheads, posted a 0-6 record and 2.83 ERA with four saves in 26 games. In 22 games withthe Suns, went 3-1 with two saves and a 4.31 ERA ... His three combined wins tied a career-best, done in 2009 and '08 ... Had two stints with both Jupiter and Jacksonville prior to his Major League callup. During his firststint with Jupiter, compiled a 0-2 record with four saves and 1.88 ERA (14.1 IP/3 ER) in 13 appearances,10 of which were scoreless ... With Jupiter, pitched a career-high 3.1 innings on July 22 vs. Lakeland ... In his second stint with Jacksonville, appeared in 15 games with a 2-0 record and 2.78 ERA (22.2IP/7 ER) and two saves ... Pitched a career-high 9.2 scoreless innings from July 26 to August 9. Previous high was 9.1 innings,done with Jupiter from June 5-25, 2009 ... Made one appearance for the Suns in their Southern League Championship run, tossing 2.0 scoreless innings ... Selected to Florida on September 20 and made his Major League debut on September 26 at Milwaukee, allowing no runs in 2.0innings ... Made three appearances at the Major League level, all of which were scoreless outings. 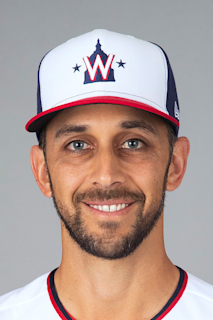 December 16, 2017 Chicago Cubs signed free agent RHP Steve Cishek. November 2, 2017 RHP Steve Cishek elected free agency. July 29, 2017 Tampa Bay Rays activated RHP Steve Cishek. May 15, 2017 Seattle Mariners activated RHP Steve Cishek from the 10-day disabled list. May 11, 2017 Seattle Mariners sent RHP Steve Cishek on a rehab assignment to Tacoma Rainiers. April 29, 2017 Arkansas Travelers sent RHP Steve Cishek on a rehab assignment to Tacoma Rainiers. April 23, 2017 Seattle Mariners sent RHP Steve Cishek on a rehab assignment to Arkansas Travelers. April 18, 2017 Seattle Mariners sent RHP Steve Cishek on a rehab assignment to Tacoma Rainiers. April 17, 2017 Seattle Mariners sent RHP Steve Cishek on a rehab assignment to Arkansas Travelers. March 31, 2017 Seattle Mariners placed RHP Steve Cishek on the 10-day disabled list. Left hip labrum tear. August 19, 2016 Seattle Mariners activated RHP Steve Cishek from the 15-day disabled list. August 15, 2016 Seattle Mariners sent RHP Steve Cishek on a rehab assignment to Everett AquaSox. August 4, 2016 Seattle Mariners placed RHP Steve Cishek on the 15-day disabled list retroactive to August 2, 2016. Left hip labrum tear. December 14, 2015 Seattle Mariners signed free agent RHP Steve Cishek. December 2, 2015 RHP Steve Cishek elected free agency. October 14, 2015 St. Louis Cardinals activated RHP Steve Cishek. October 9, 2015 St. Louis Cardinals reassigned RHP Steve Cishek to the minor leagues. July 25, 2015 St. Louis Cardinals activated RHP Steve Cishek. June 13, 2015 Miami Marlins recalled RHP Steve Cishek from Jacksonville Suns. June 2, 2015 Miami Marlins optioned RHP Steve Cishek to Jacksonville Suns. May 24, 2011 Florida Marlins recalled Steve Cishek from New Orleans Zephyrs. May 14, 2011 Steve Cishek roster status changed by New Orleans Zephyrs. May 12, 2011 Florida Marlins optioned RHP Steve Cishek to New Orleans Zephyrs. May 11, 2011 Florida Marlins recalled Steve Cishek from New Orleans Zephyrs. March 16, 2011 Florida Marlins optioned Steve Cishek to New Orleans Zephyrs. September 20, 2010 Florida Marlins selected the contract of Steve Cishek from Jacksonville Suns. August 31, 2010 Steve Cishek assigned to Phoenix Desert Dogs. July 26, 2010 Steve Cishek assigned to Jacksonville Suns from Jupiter Hammerheads. June 10, 2010 Steve Cishek assigned to Jupiter Hammerheads from Jacksonville Suns. May 22, 2010 Steve Cishek assigned to Jacksonville Suns from Jupiter Hammerheads. September 25, 2009 Steve Cishek roster status changed by Jupiter Hammerheads. August 15, 2009 Jupiter Hammerheads placed RHP Steve Cishek on the 7-day disabled list retroactive to August 13, 2009. April 8, 2009 Jupiter Hammerheads signed RHP Steve Cishek.